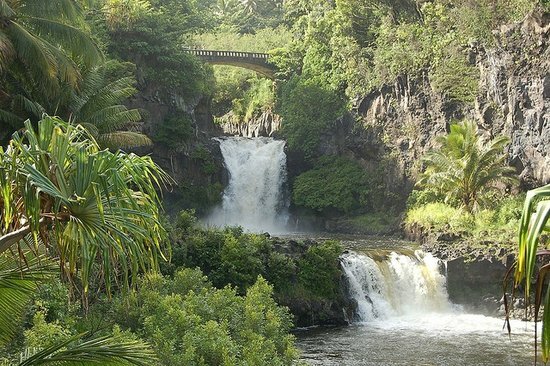 No trip to Maui is complete without a visit to one of the island’s postcard perfect waterfalls. 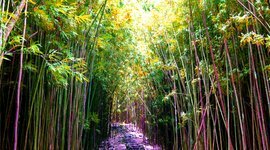 And lucky for you, Maui’s got plenty, ranging from side-of-the-road photo ops to adventure worthy cascades. 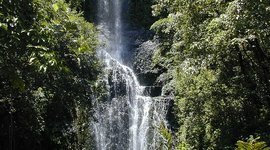 Although the majority of waterfalls are concentrated along the road to Hana, an infamously winding road that follows Maui’s tropical east coast, you can view beautiful falls without making the full Hana trip, as well as discover a few hidden gems in West Maui. And if you're still looking for a place to stay in Maui or one of the other islands, check out Vacatia. Vacatia focuses on resort residences, fully managed and professionally serviced timeshare and resort condominiums providing home-like comforts and delightful amenities. They combine the spaciousness and necessities of a private vacation rental with the comfort and convenience of on-site staff and services (not unlike a hotel). These resorts are often in the most desirable locations and offer additional amenities. Your first waterfall along the Road to Hana, Twin Falls has been seriously underrated by many guidebooks. Although the roadside parking is typically full, few travelers make it past the fruit stand. A short walk leads to two falls, both of which are surrounded by swimmable pools. Tips: Best if you want to enjoy waterfalls but don’t have time for the full Road to Hana journey. Don’t forget your bathing suit. 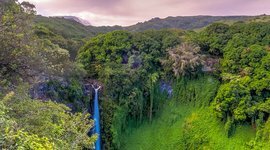 Continuing along Hana Highway is the towering 200-foot waterfall known as Lower Puohokamoa Falls, an incredible sight often missed by the majority of Hana-bound travelers. A five minute hike along a steep, slippery trail will lead you to a fantastic lookout point. Although you can only see it from a distance, Lower Puohokamoa is a sight to behold. Access: A solitary telephone pole about 8/10 of a mile past mile marker 10 on Hana Hwy marks the trail’s entrance. Because the pull off is tight and located on a blind turn, the safest access is when traveling towards Kahului. Tips: Although short, the trail is slippery and narrow, and thus recommended only for able hikers. 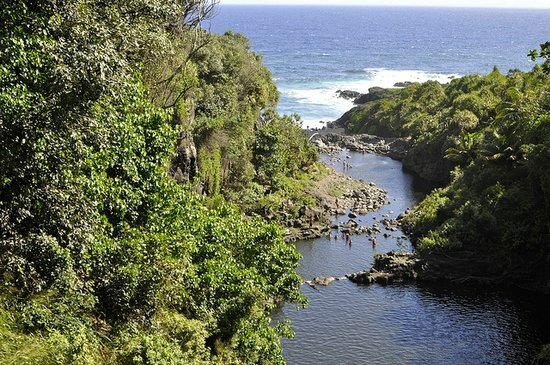 As you drive along Hana Highway you’ll cross over the Makapipi Stream, which flows to form Makapipi Falls. 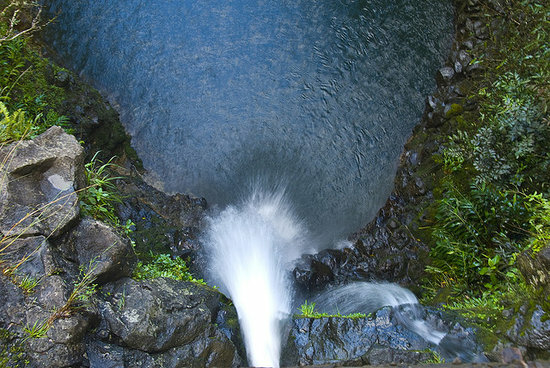 Unlike most of Hana Highway’s waterfalls, Makapipi is unique in that you see it from above. From a bridge you have a bird’s eye view of the waterfall and its gorgeous, blue pool. Tips: Easily accessible, but watch for cars crossing the bridge. 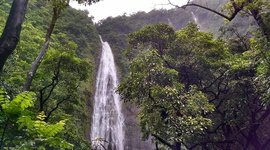 Wailua Falls is a scenic “can’t miss it” falls located a few miles past the town of Hana. The falls cascade over an 80-foot drop and flow under a one lane bridge. Park in the large pullout on the ocean (makai) side of the road and walk back to the bridge to snap some epic pictures. Tips: Arrive early to avoid crowds (particularly the tour buses). Located along the Pipiwai Trail near Hana, Makahiku is a 185-foot waterfall set amidst a lush forest backdrop. An overlook lets you see it from above, giving you a great photo opp. But keep going down the Pipiwai Trail and you’ll find something almost twice its size. Tips: Arrive before noon to avoid crowds. 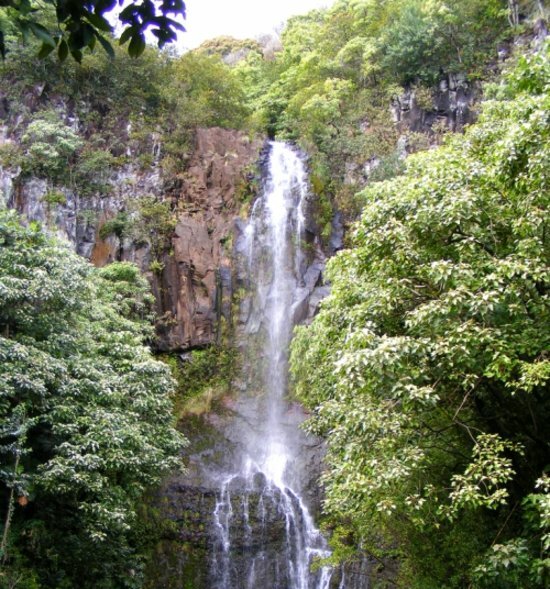 Further upstream of Makahiku is the granddaddy of Maui’s waterfalls – the 400-foot tall Waimoku Falls. Here at the very end of the Pipiwai Trail, you’re left to linger in awe and snap pictures to your heart’s content. Even if the flow isn’t raging, the sheer height of Waimoku – not to mention its incredible setting - will leave you soaking in the beauty. Tips: Don’t forget the camera. Located downstream of Waimoku falls are the Pools of ‘Ohe‘o, also known as “Seven Sacred Pools.” While heavy rains may restrict access to the pools, a short walk from the parking lot leads you to an absolutely stunning scene: a series of tiered falls emptying into the ocean. 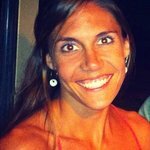 When the pools are open you can enjoy an incredible swim, however cliff jumping is prohibited by the National Park Service. 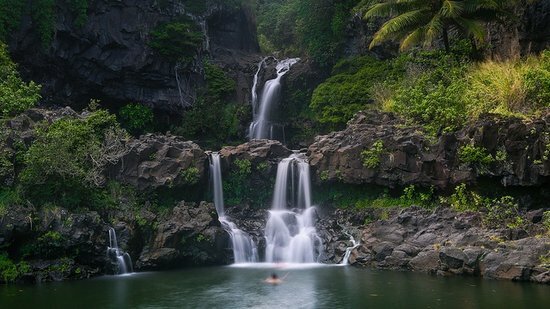 Tips: One of the most popular attractions in Hana, arrive early and bring your bathing suit. About 14 miles past Hana in Kipahulu, Alelele Falls lies at the end of an unassuming 10 minute trail. Chances are you’ll have this beauty to yourself, so pack your bathing suit and be prepared to take a relaxing dip in Alelele’s accompanying pool. Access: Kipahulu; 1/3 of a mile past mile marker 29 on Hana Hwy look for the bridge marked “Alelele” - a dirt trail (that requires rock hopping) leads to the falls. 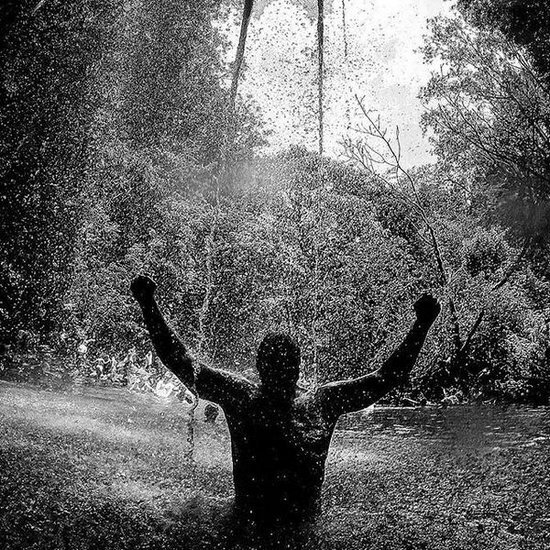 Tips: Prepare to get wet. 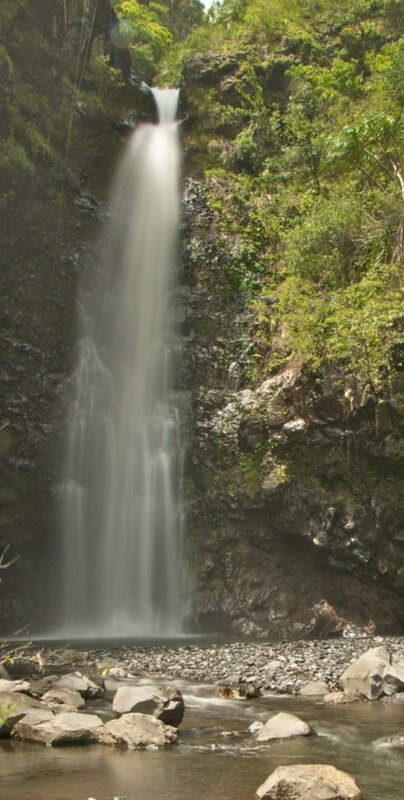 Reputedly the tallest waterfall on Maui, Honokohau Falls is situated deep within an inaccessible West Maui valley. 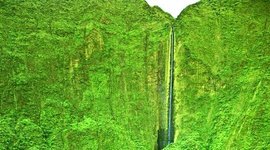 Only visible via a helicopter tour, the two-tiered waterfall tops out at an astounding 1,119 feet. 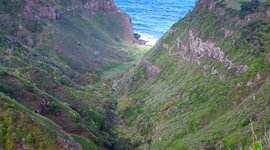 Tips: Choose the combined West Maui/Moloka‘i tour to view Honokohau Falls and the dramatic sea cliffs of Moloka‘i. 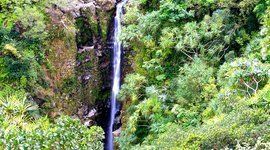 One of the few West Maui waterfalls accessible by land, Makamaka‘ole is a series of two falls set against a lush, jungle backdrop. 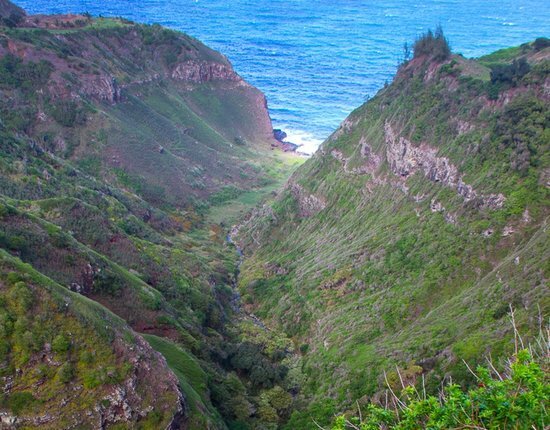 The full 270-foot falls can be viewed from a distance by hiking the Waihe‘e Ridge Trail, while the lower falls, approximately 60 feet high, can be seen from Kahekili Highway (Hwy 340) just past mile marker 8. Access: One mile hiking up the Waihe‘e Ridge Trail or Kahekili Hwy (Hwy 340) just past mile marker 8. Tips: Great stop to add if you’re planning the Kahekili Highway loop drive from Honolua Bay to Kahului. 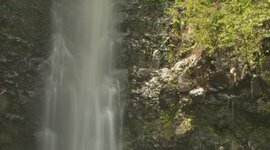 It's a short hike to these two waterfalls at the beginning of the Road to Hana. If you're not feeling up to the full journey, you can always call it a day here. It's something out of a movie: walk through fragrant bamboo forests paved with fresh guava (eat one!) and cool off in stunning natural pools fed by waterfalls. 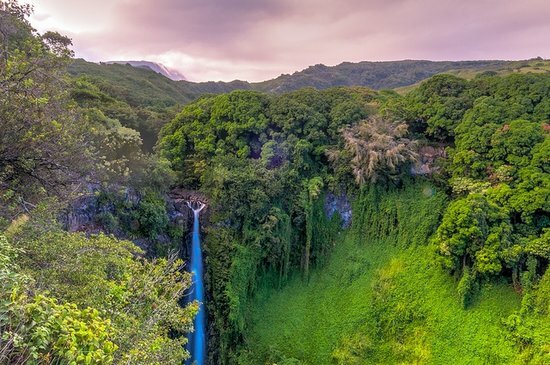 This towering 200-foot waterfall is often missed by most Hana-bound travelers. It's a short 5-minute hike to a great lookout point where you can spot the falls. Unlike most falls, you can access this one from a trail that runs directly above it. You get a great view of the stream and the pool below. A few miles past Hana, you'd be hard pressed not to see this waterfall. It towers at 80 feet high and flows under a one lane bridge. Park on the ocean side of the road to snap a few photos. 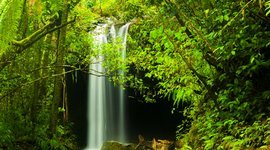 One of the many falls along the Pipiwai trail, this one's claim to fame is the gorgeous rainforest scenery that surrounds it. 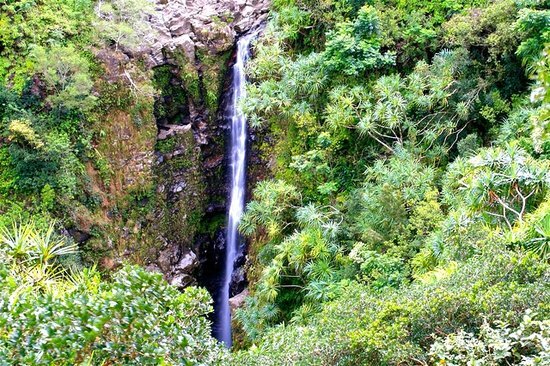 At over 400 feet tall, it's the highest accessible waterfall in Maui. Found at the end of the Pipiwai Trail it makes for the perfect reward after a decent hike. 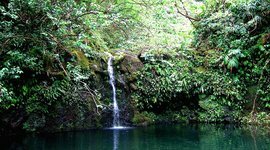 Past Hana in Kipahulu, this waterfall lies at the end of a 10-minute trail. Not frequented by many tourists, you'll likely have it's beauty and natural swimming pool all to yourself. 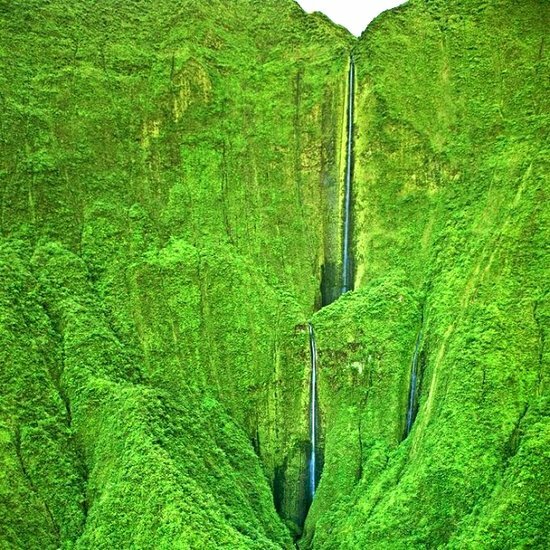 Quite possibly the tallest fall in Maui, this world wonder is set deep within an inaccessible valley. You'll only be able to see it on a helicopter tour.